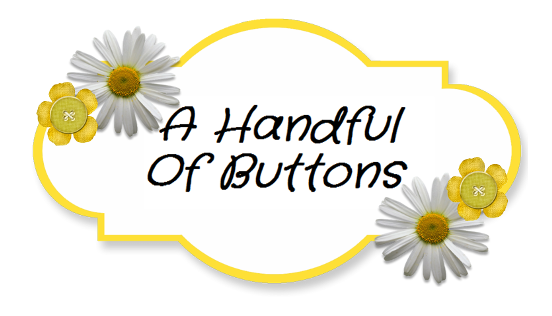 A Handful Of Buttons: How to Make a Door Fringe (no sew). 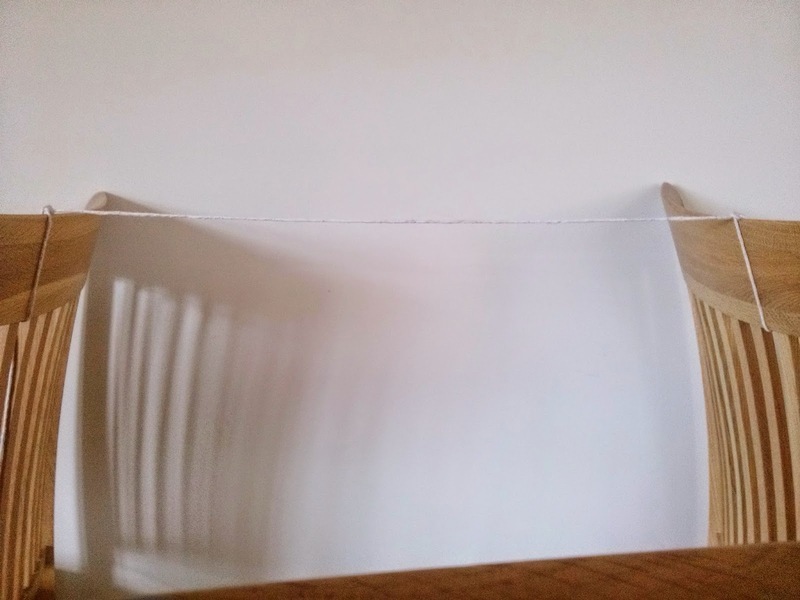 How to Make a Door Fringe (no sew). 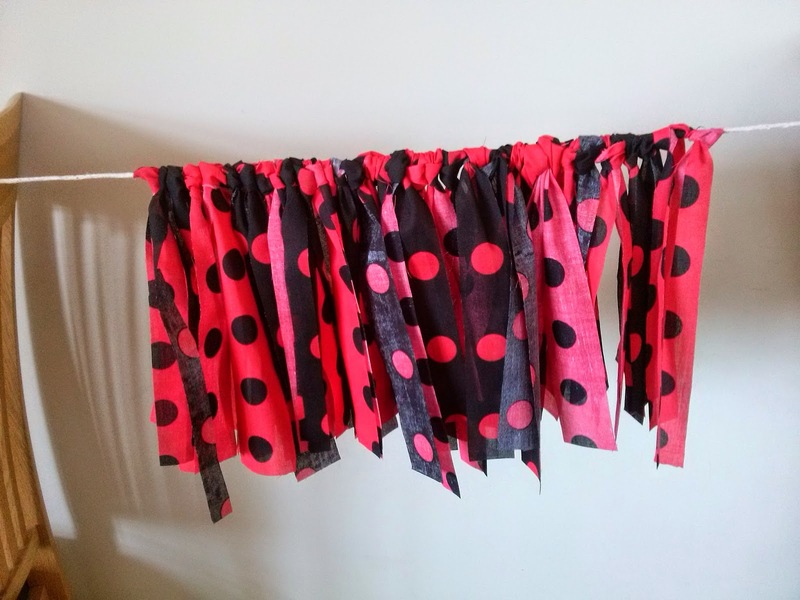 A simple no sew project. :) Perfect for brightening up any doorway! 1. Measure the width of your doorway and cut this amount of strong string/ribbon (with plenty of excess). 2. Tie the ends of your string to something sturdy that can hold the string tight without toppling. 3. 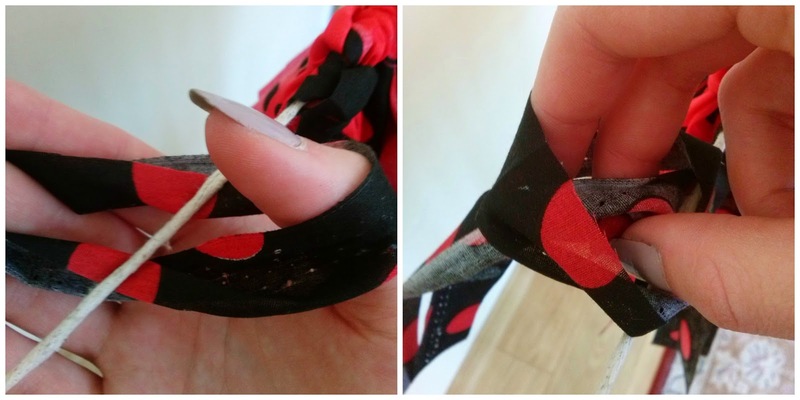 Fold a piece of fabric in half. 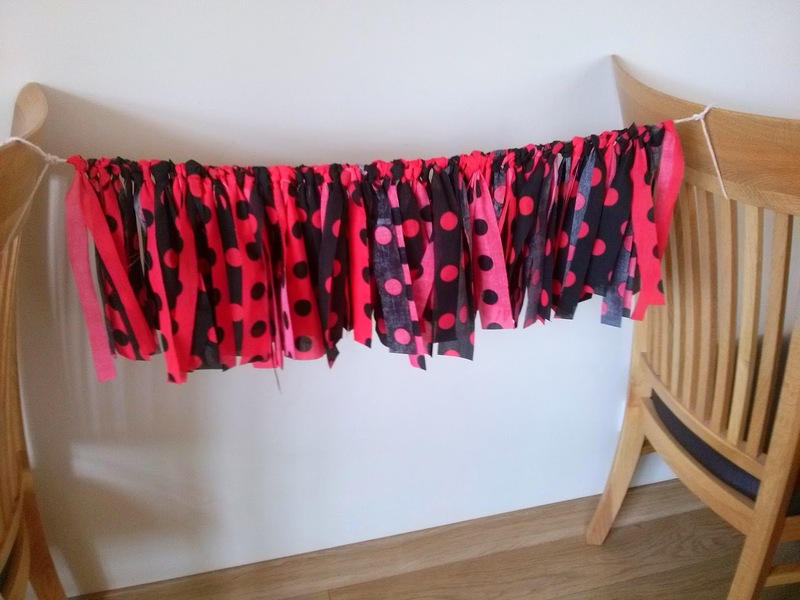 My fabric was 1/2 metre wide so when folded, it had a width of 25cm. This forms the length of the fringing. 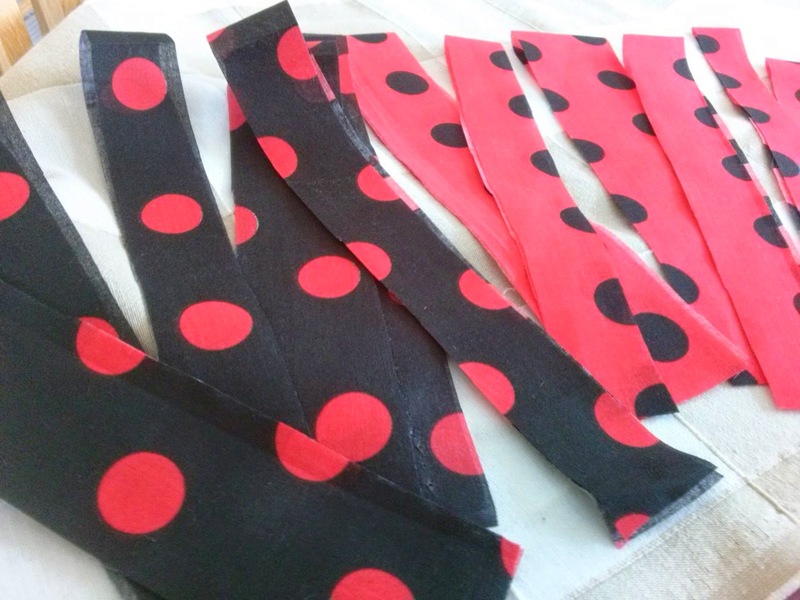 You may want your strips to be longer/shorter so you will need to cut and fold the fabric accordingly. 4. 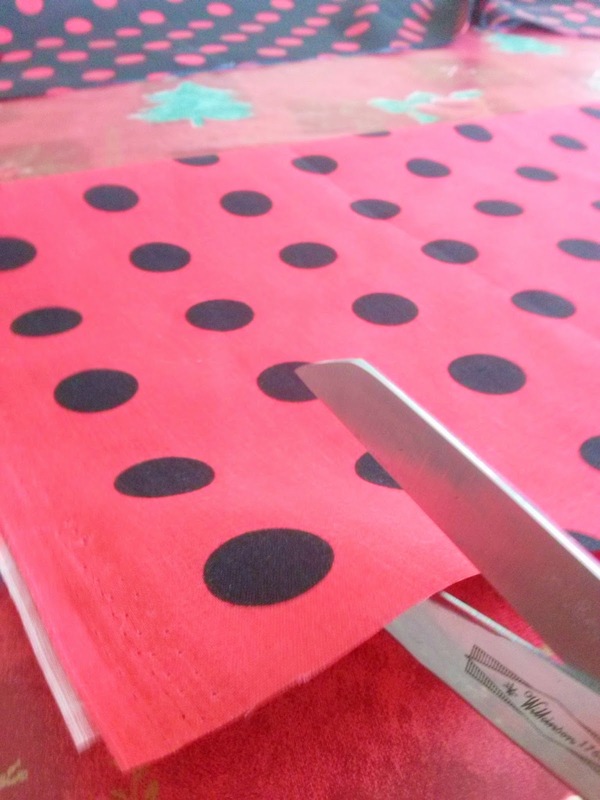 Cut strips of varying widths. 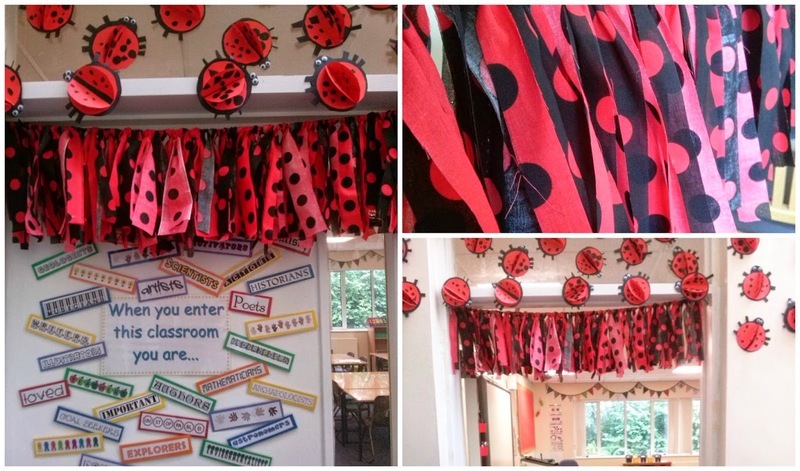 I chose to use contrasting colours to match my ladybird theme, however you could use all sorts of strips of fabric! 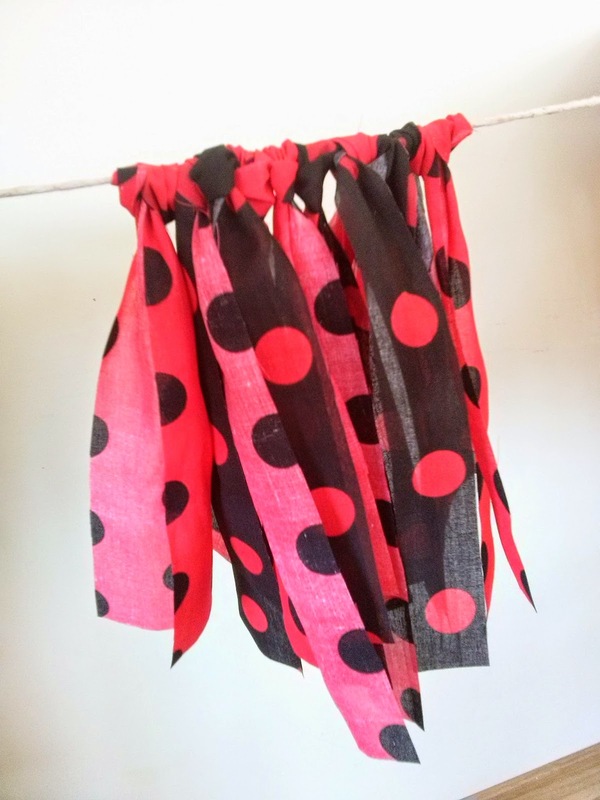 If you feel extra fancy, you could even use some lace or ribbon to create added texture. 5. Using the knot as shown in the picture (cow hitch knot), or using a simple tie knot, attach the strips to the string. 6. Repeat this process, adding more and more strips until the string is full. 7. Hang your fringing and hey presto a beautiful doorway! I hope this makes sense. Happy crafting! 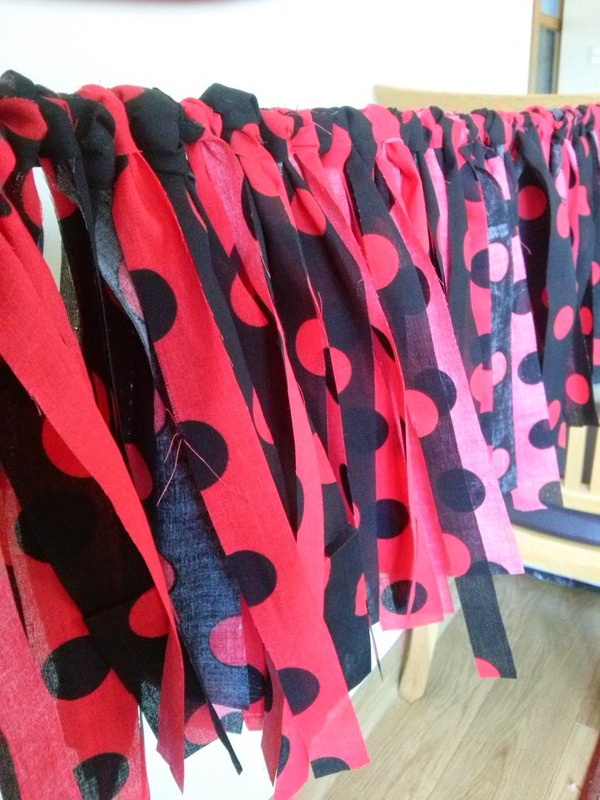 How to Make Book Bunting.